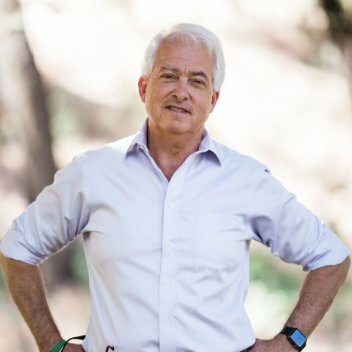 I could listen to John Cox talk about anything. Huge asset to the GOP. I simply do not understand why Californians continue to vote for poop in the streets and gated communities serviced by people living in ghettos. Thank you for giving Cox the opportunity to speak out. Common sense should elect him, but there is little of it left in California. Cox got my vote, but I confess I’d have more hope for his chances in a recall election. California elects statewide democrats by default these days, but has shown a willingness to give votes of no confidence. And I have zero confidence in Newsom. Seems very direct and honest to me. I also liked his answer on Trump. Wish we had an option like Cox in New York where I live. BTW to Rob and Peter. Great idea to have the extra podcast highlighting an interesting candidate just a few days before the election. Format was great to. Are you going to have more of this the last week? Democrats have no such litmus. I think the “fiscal conservative but social liberal” unicorn that can somehow explain how one can remain tight with the purse strings while opening up the coffers for trial lawyers and expanded benefits isn’t walking through that door. As far as I’m concerned, “fiscal conservative but social liberal” is an oxymoron anyway. Being a “social liberal” ends up being VERY expensive. I like the substance of his remarks, but his manner was off-putting. He should recognize when he’s among supporters and maybe relax a bit.